Giving the LPG connection papers, Mahajan said that Ujjwala scheme not only protects the health and money of the women of the poverty line but is also a symbol of their respect. [New Delhi]: The government has achieved the target of Prime Minister Ujjwala scheme, which started with the aim of providing clean fuel to poor women, only eight months before the scheduled time. 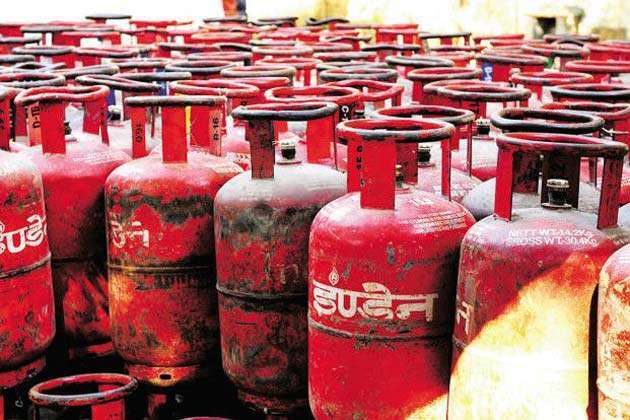 Lok Sabha speaker Sumitra Mahajan handed over five million LPG connections to the residents of the Parliament House on Friday. The government had set a target to provide five crore connections under this scheme till March 2019. Giving the LPG connection papers, Mahajan said that Ujjwala scheme not only protects the health and money of the women of the poverty line but also symbolizes their respect. Sumitra Mahajan emphasized the need to provide LPG cylinders with a weight of 5 kg instead of 14.2 kg, so that the poor families can easily purchase it. On this occasion, Minister of Petroleum and Natural Gas, Dheerndrandra Pradhan said that by March 2020, million additional connections will be given to the poor families. He told that 47 percent of those who were given LPG connections came from the weak sections of the SC and ST communities. The Central Government launched the Ujjwala scheme on May 1, 2016 from Balia of UP, under which, till March 2019, the target of giving five million people free kitchen gas connections, stove and regulators was done, which the government completed eight months ago. took. The government had made a provision of Rs.8000 crore under the scheme. LPG connections were given on the basis of 2011 socio-economic caste based census. Due to domestic air pollution, about 10 lakh people die every year in the country. The World Health Organization has praised the Prime Minister Ujjwala scheme.